Perhaps once in a generation, an individual makes a contribution that has such a profound and lasting impact on the world and people around them that they become an icon in their field. Dr. Phil Hill, who passed away peacefully on February 17, 2016, was one of these rare people. Dr. Hill will be remembered as the visionary inventor of HPDI technology, a true pioneer for the alternative transportation industry and the founder of Westport, which engineers the world's most advanced natural gas engines and vehicles. 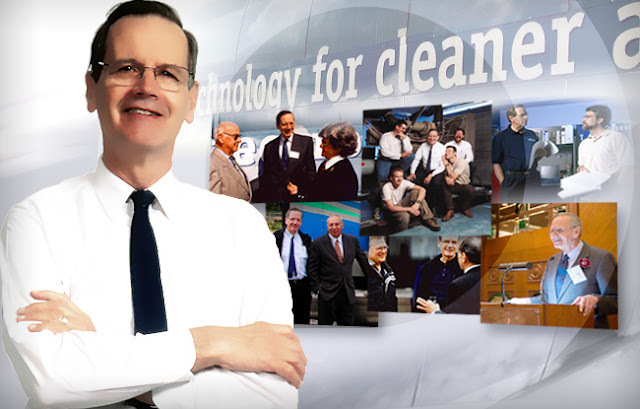 An inspiration to hundreds of engineering students and industry professionals spanning a career of more than 60 years, his life's work has quite literally affected a positive environmental change through the development of emissions-reducing products. 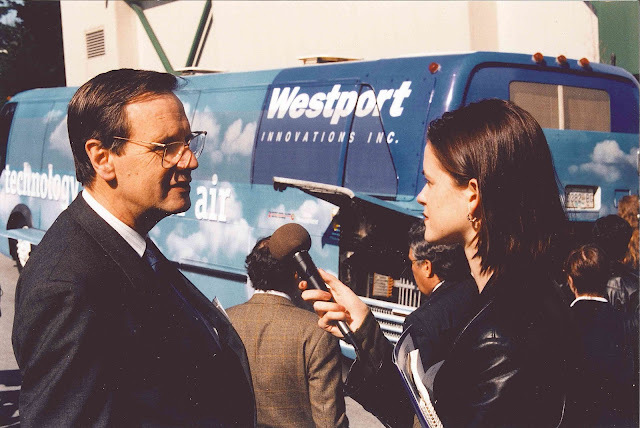 "I believe that Phil's innovative thinking really opened a new era for natural gas vehicles. HPDI dramatically expanded the potential reach of natural gas as a fuel in applications such as heavy trucks. This expanded potential gave the industry the confidence to grow and innovate further. I also believe natural gas vehicles contributed to moving the whole field of heavy duty powertrains, used for trucks and buses, towards cleaner solutions. I'm sure Phil would not admit it, but the impact has been huge." Dr. Phil Hill (left) with Canadian businessman and politician, Herb Dhaliwal, standing in front of a Class 8 truck powered by a Westport™ 15L HPDI engine. "So many of us have learned so much from Phil. Of course he taught us in such a gifted way all about the thermodynamic principles and foundational combustion science that underpin so much of what we do at Westport, but that's not really what I'm referring to. He taught us humility. He taught us that no matter how much we know we are still at the dawn of understanding with so much more to learn. He taught us to wonder. He taught us to think about the endless possibilities, but forced us to ground them in sound science and equations. He taught us respect. He taught us that no matter what we were working on or what problem we were trying to solve, whether it be technical, commercial or environmental, that it was the most important thing we could be doing and expressed such genuine and honest admiration for it that we'd feel ten feet tall. He, of course, was the giant in the room. It is these special qualities that have become so engrained in the culture at Westport and for which we are so thankful." "Dr. Hill was a Canadian innovator whose research and technology leadership has had global reach. The overall performance and emissions characteristics of HPDI have yet to be matched by any clean engine technology. Phil cared deeply about clean air, healthy cities, and environmental stewardship. While his professional accolades are many, Phil was also a tireless volunteer, a generous philanthropist, an active supporter of the United Way of the Lower Mainland's Community Schools program, and a dear colleague and friend." Dr Hill's family is overwhelmed by the outpouring of support and admiration shared during the final weeks of his life. This has given them a fuller appreciation of his life and the legacy he leaves behind. The funeral service for Dr. Hill is being attended by family and friends, and will take place on Tuesday, February 23 (see obituary). Anyone who would like to pay their respects can send a card or a note to the family via mail: Westport Reception, 1750 West 75th Avenue Suite 101, Vancouver, BC, V6P 6G2; or email: communications@westport.com. A small donation to either the Order of St. John Palliative Care Foundation or Regent College can be made in lieu of flowers.